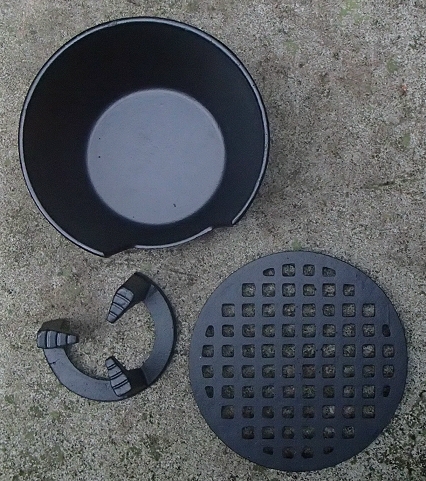 This versatile warmer has two options depending on how hot you like your tea. 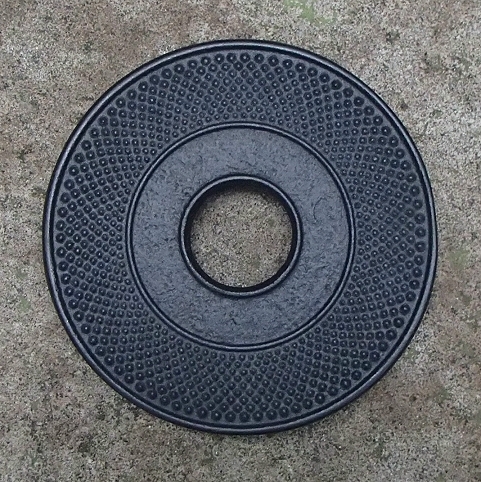 Place your teapot on the warmer with the round grate in place for gentle warming or remove the grate and use the small 3-pronged teapot holder placed over the tea candle for a more intense warming effect. This warmer is ideal for Japanese Tetsubin cast iron teapots. 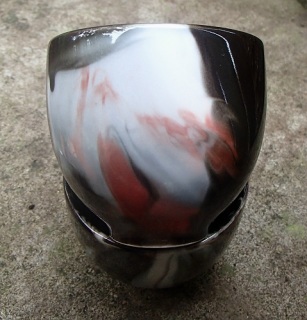 These lovely porcelain cups are glazed to have a marbleized appearance. Deepest charcoal brown is swirled with pure white and a rich salmon red color. 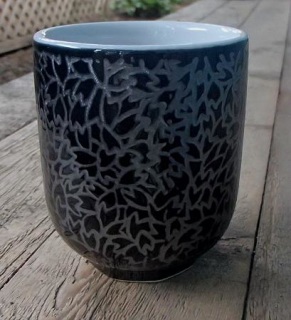 Each tea cup is completely unique. Yixing zisha clay tea cup in charcoal brown. 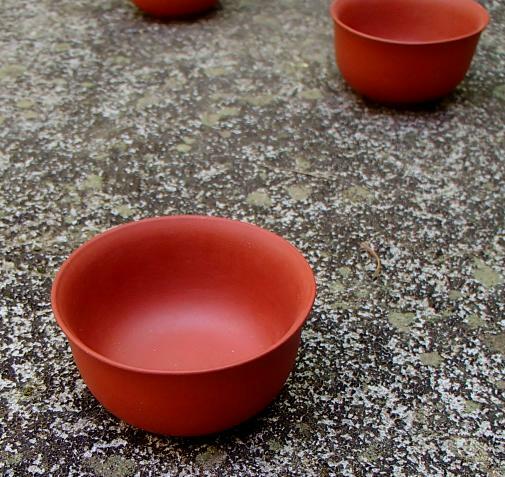 These tea cups pair beautifully with darker toned Yixing teapots and also go very well with our cast iron pots. 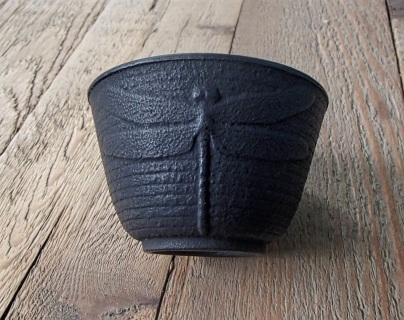 This all black cast iron tea cup is decorated with horizontal rings around the exterior and a prominent dragonfly on one side. 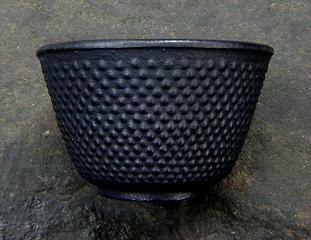 The interior is lined with porcelain enamel and the Iwachu casting mark appears on the base. 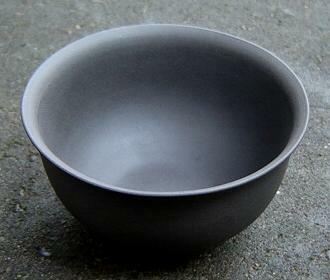 This tea cup pairs well with all of our Tetsubin cast iron teapots and kettles. 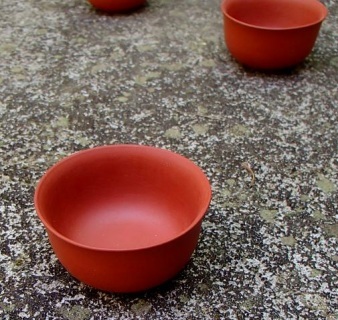 Made from zhu ni Yixing clay, this tiny reddish-orange tea cup is smooth with a lightly curved rim and decorated only with the artist's mark on the base. 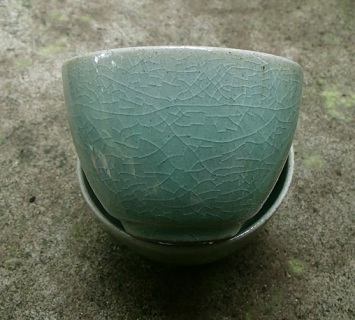 Celedon is a classic glazing tradition and this tea cup from Japan displays a delicious shade of pale blue, green to show your tea in its best light. Raised hobnails cover the entire exterior of these classic Japanese cast iron tea cups. The interior of each tea cup is lined with porcelain enamel and the Iwachu casting mark appears on the base. 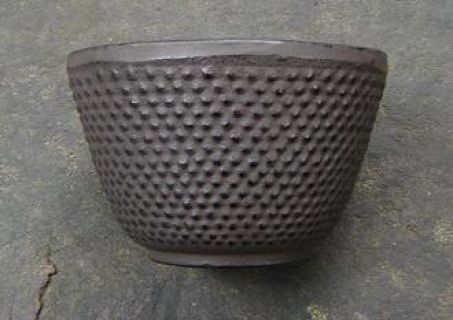 Little raised hobnails cover the cocoa brown exterior of these classic cast iron tea cups. The interior of each tea cup is lined with porcelain enamel and the Iwachu casting mark appears on the base.